I think it's fair to say that I really like stamping. What I also love is trying new plates! 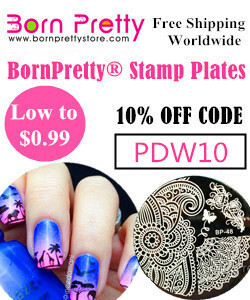 To share with you tonight I have my first Creative Shop stamping plate sent to me by Nail Art UK. This is number 17 from their range and has several nature themed images along with some interesting patterns. 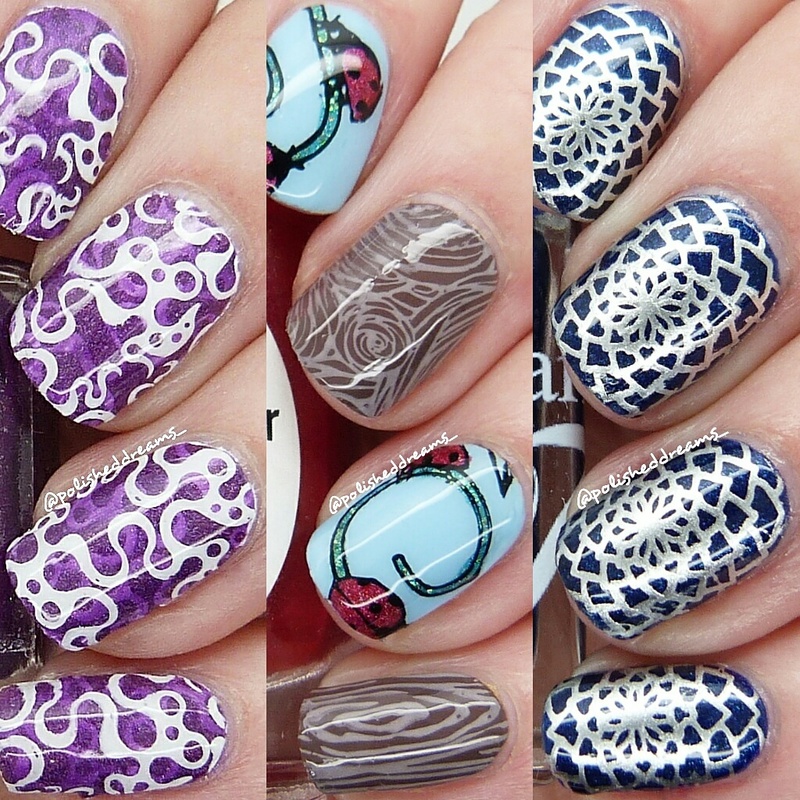 I've done a few mani's just to show you a variety of the images that are available to you. My first mani uses this interesting squiggly image. 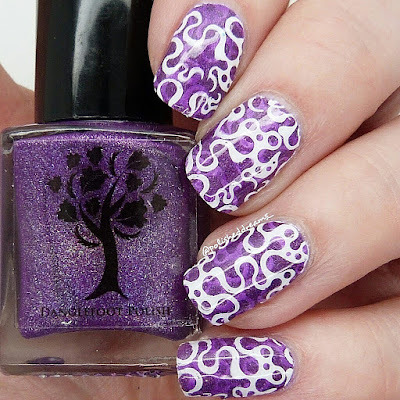 I did a pond mani/jelly sandwich using Danglefoot Polish Bad Hair Day and stamped using Born Pretty Store white stamping polish. 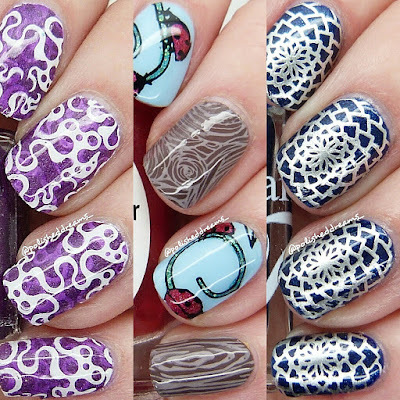 I'd seen some fab mani's from other people using these plates so I was excited to see how I fared with them. Straight away I had a great pick up and the images came out super crisp. There are several images on the plate that are fab for decals but I just couldn't resist these cute little ladybirds. I've paired them with two tree trunk images that also feature on the plate. 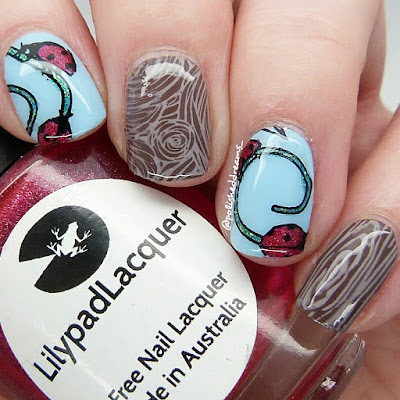 Again the pick up was brilliant, even with the tiny details of the ladybirds! 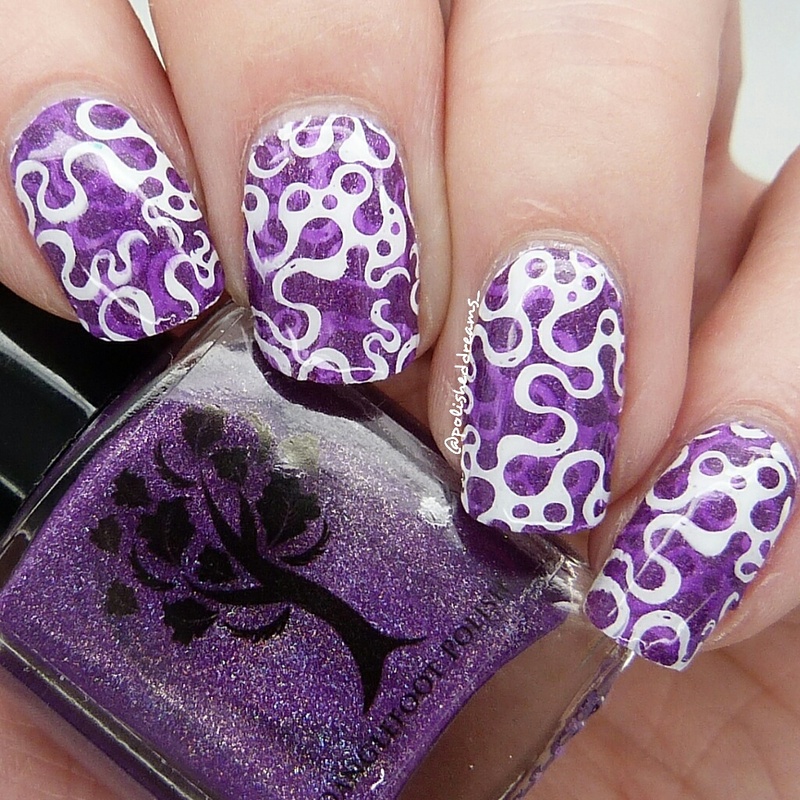 For the tree trunk nails I used Rimmel London Chic in Chelsea as the base and Barry M Vanilla for the stamping. 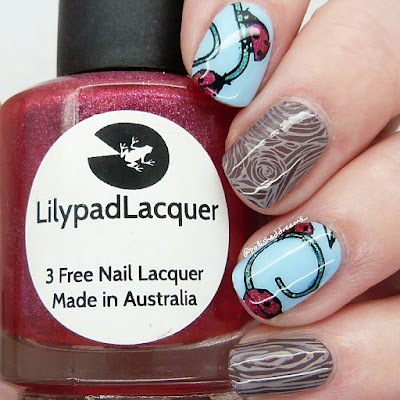 The pretty blue base for the ladybirds is Freckles Polish It's a Boy!, I stamped with Painted Polish Midnight Mischief (bought from Rainbow Connection UK) and coloured in using Lilypad Lacquer Ruby Slippers and Glam Polish Running Up That Hill. 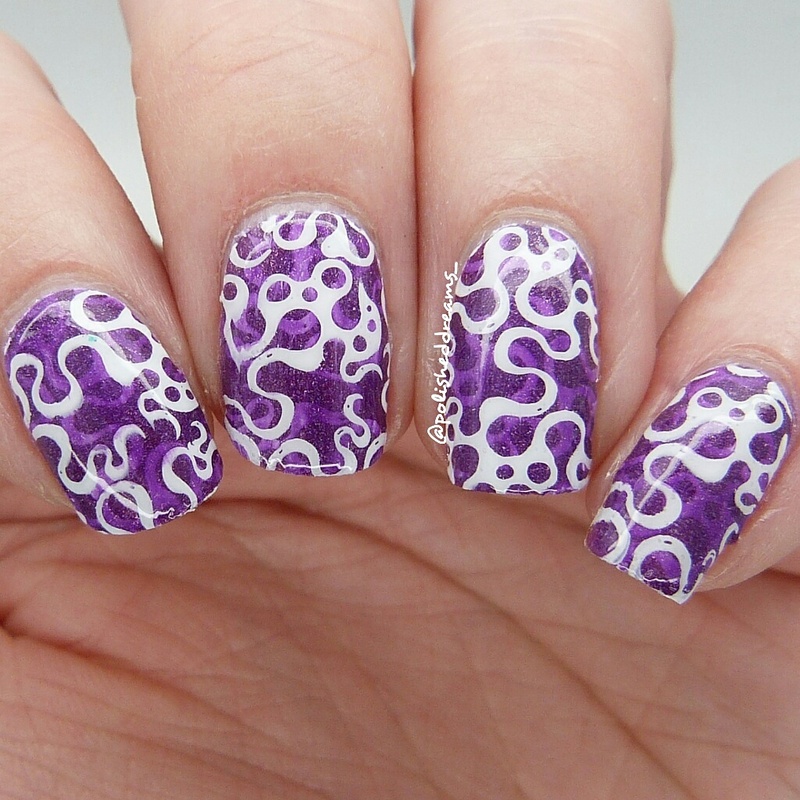 The final mani I did uses this gorgeous flower/almost spirograph type image. This stunning blue polish is Charming Tale The Huntsman. 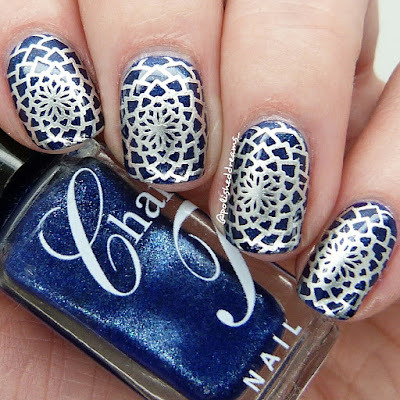 Charming Tale is now not open but as most know, the lovely Lea has reopened under the name Sparklea Nail Polish and has just released 'The Charming Tale Collection' which contains The Huntsmen so you can get it here. As you can see, it has picked up absolutely perfectly and it's easy for me to say that I'm impressed! Overall I'm really happy with this plate. 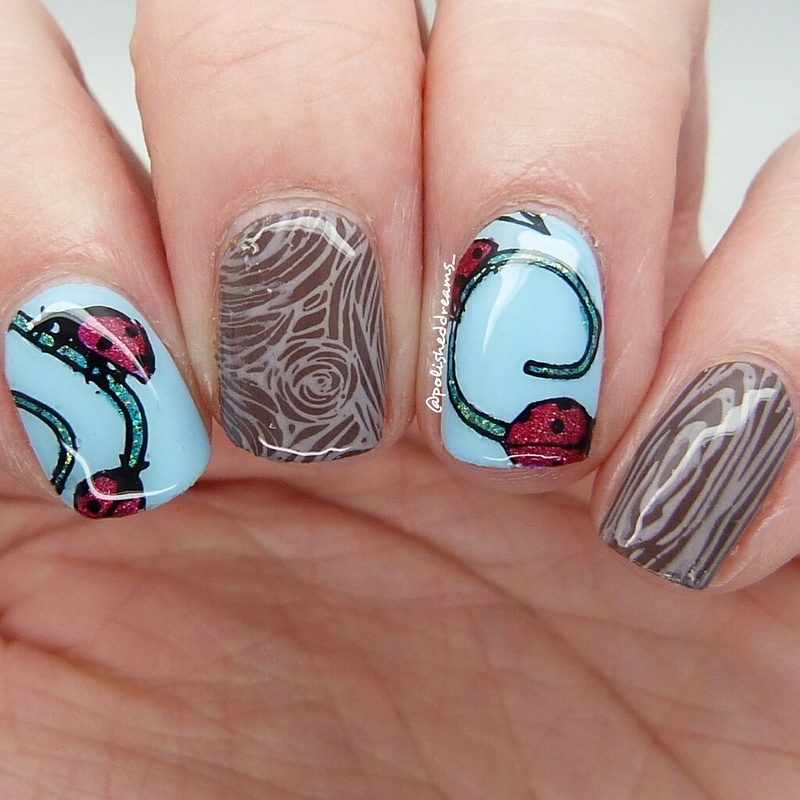 The images are slightly larger than I'm used to but I managed to make them fit on my nail so it's manageable. I'm excited to try making decals with a few of the other images, including the butterflies, they look so pretty! 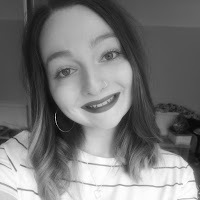 If you haven't tried Creative Shop plates before then I'd happily recommend them, the pick up was amazing every time. 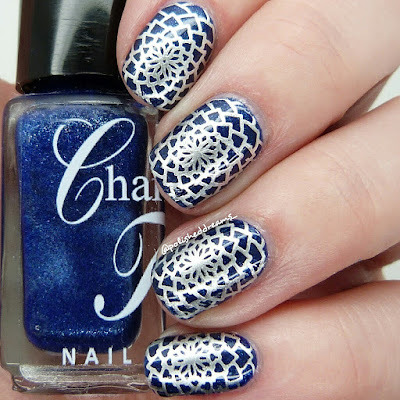 You can find more Creative Shop plates on Nail Art UK here. 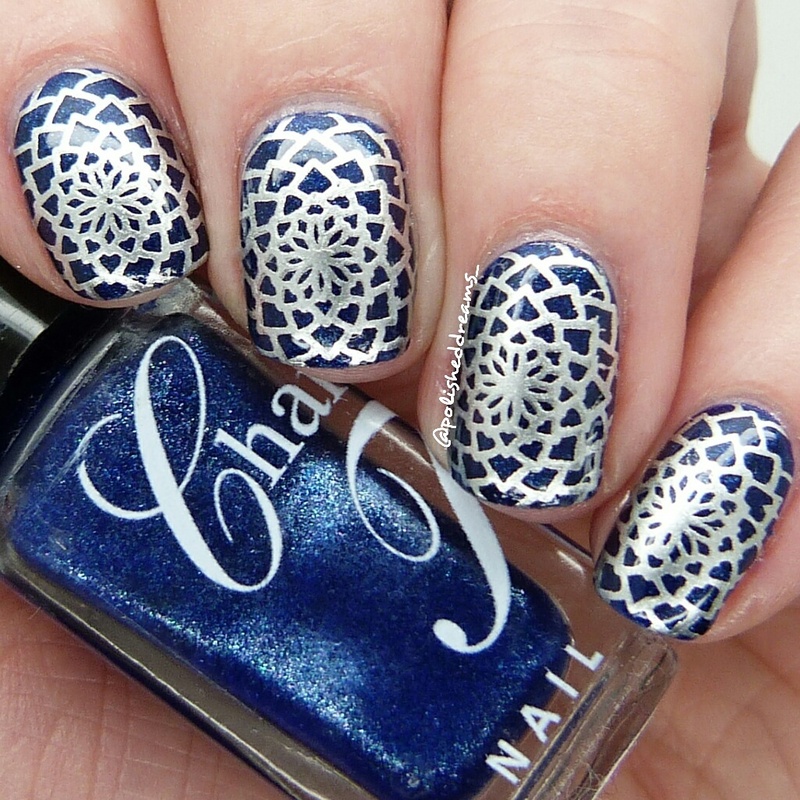 All these manis are gorgeous and I love that last one the most, the blue and silver is stunning!